The Valet Charger solves a first-world problem: Keeping your Apple Watch elegantly charged on the go. If you’re traveling with your Apple Watch and desperately want to eliminate a cable from your bag, Belkin’s new Valet Charger power pack could do the trick. With its built-in round magnetic charging module, this 6,700mAh battery pack lets you jettison the single-use cable that comes with every Apple Watch. I know I’d like to leave that 3-foot tangle out of my suitcase next time I hit the road. In addition to supplanting the stock Apple Watch charger, the Valet Charger also can free you from carrying a bulkier power pack. “Not all batteries need to have multiple ports so that you can feed multiple devices,” said Seil. The Valet Charger is an MFi-certified clutter killer. The MFi-certified Valet Charger is designed specifically to recharge an Apple Watch and iPhone as quickly as possible. “It’s all optimized for the fastest charging, and it’s ultimately also extremely safe,” Seil said. While Cult of Mac hasn’t tested the Valet Charger, we did get to check it out when Seil brought it by our office. The sleek silver-and-black housing feels solid and looks good. At just 4.77 inches long, 1.67 inches wide, and 0.94 inches high, it falls into the Goldilocks zone for power packs — not too small, not too large, with just the right amount of power to get you through a rough day or two. 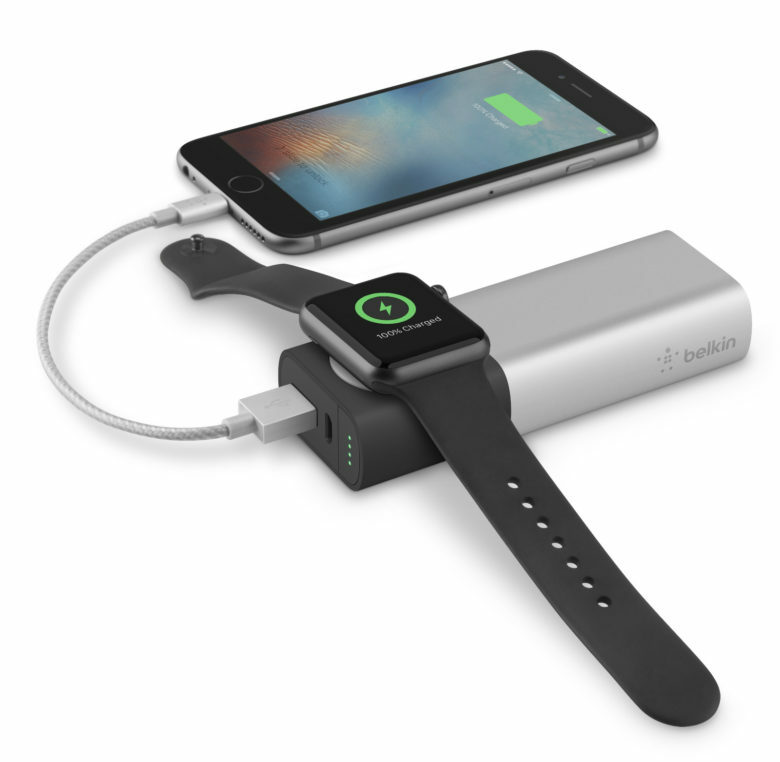 Belkin says the Valet Charger, announced today and available starting Wednesday from Belkin’s website, will recharge your Apple Watch eight times or your iPhone three times on a single charge. You’ll need to plug a standard Lightning cable, which is not included, into the Valet Charger’s standard USB port. The Valet Charger itself charges using a Micro-USB cable, ideally connected to a 2.4-amp wall charger, which is also not included. While some might deride the Valet Charger as an “expensive solution in search of a problem,” the power pack looks like a great solution to the traveler’s nightmare — an unwieldy knot of cables that must be untangled every night before you hit the sack. Priced at $99, it’s not a cheap solution to keeping your Apple Watch charged. However, it is an elegant one.